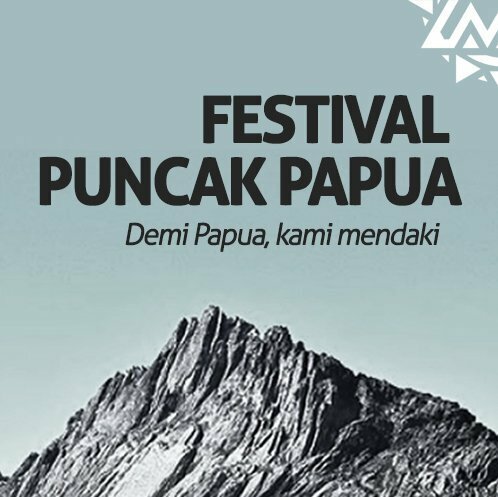 Jakarta, PAPUANEWS.ID - Organization Penempuh Rimba and Pendaki Gunung Wanadri and Indonesia Mengajar (IM) plans to hold a Festival highlight of Papua (FPP), which was held in mid-April to May 2018. The event will be present to improve the quality of education, health, and initiate activities exploration of Indonesia's young generation. Indeed, the festival is held in Bintang regency, Papua will begin with arts and cultural performances, until the Puncak Mandala climbing expeditions (4,760 masl) and peak Yamin (4,500 masl). "As the implementation of the theme of FPP, We will also conduct live-focused teacher training, improving the quality of health, and environmental data collection and socio-anthropology. Besides, it will do training in the cultivation of living pharmacy, village financial management to the documentation of all activities, "said Chairman Wanadri, Andi Angga Kusuma in Jakarta, Tuesday (20/2). Andi added, for the sake of the success of the event Festival Puncak Papua, Wanadri has worked with non-profit organizations, namely Indonesia Mengajar (IM), which is a concentration on activities to improve the quality of education and human resources (HR). "Hopefully what we've done can initiate Indonesian youth to continue to contribute to the country, especially in improving the quality of education, health and nature exploration," said Andi. At the same time Chairman of the Festival Puncak Papua, Dzaki Tirta said the inclusion of two large climbing expedition activity in a series of FPP is intended to open up the widest information related to the potential regional in Bintang Mountains district. Because, until now there has been no detailed information about Puncak Yamin because this mountain has never been climbed. "Ekspedi Puncak Yamin will be the first track of pioneering expedition to the summit of Yamin and spent 16 days on one's own mountain. In addition, this expedition also brought a nationalist fervor to establish Puncak Yamin name taken from the name of Heroes M. Yamin, which outside of Indonesia most people know this peak by the name of Henrik Prins Top, "said Dzaki. Meanwhile, Haiva Mudzaliva, Director of the Indonesia Teaching invite as many people to get involved to support education in Papua. "We all have big dreams for the future of education in Papua and optimism to make it happen together," said Haiva. Indonesia Teaching and Wanadri both have experience working in the Star Mountains. Indonesia has sent three forces teach the Young Teachers in Bintang Mountains district, while Wanadri is a nature lover organization that managed to send a team from Indonesia that first expedition reached the summit of Mount Mandara. Festival highlight of Papua into Indonesia forum for people who have the spirit of education to promote education and want to go on an adventure in the land of eastern Indonesia Papua. 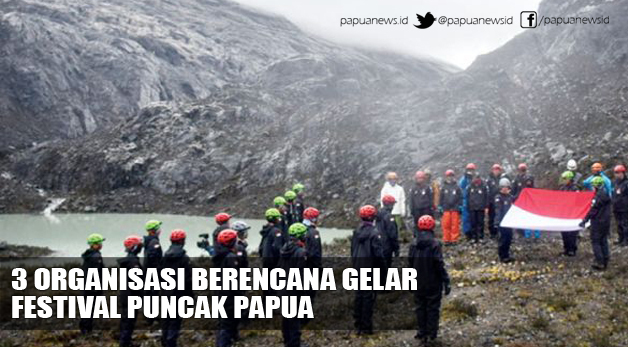 Peak Festival Papua open access to education and tourism in the mountains of Papua New Star. In terms of the local community, especially children, the more inspired and spirit of learning to achieve goals by meeting with many adventurers from a variety of professional background.